The FIA World Endurance Championship concludes in Bahrain this weekend and the Nissan NISMO Spotter Guide for this 6hour event is now available to download. 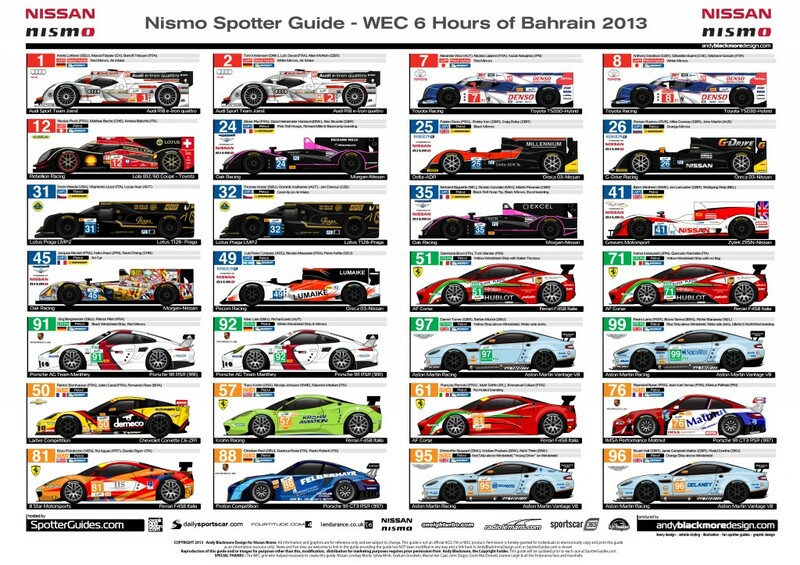 The guide features all these cars and their drivers. 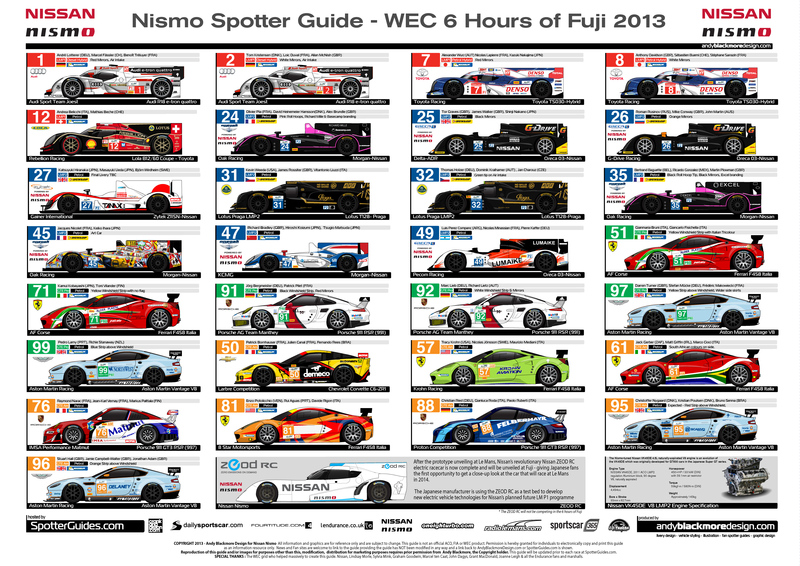 In additional, information on Team, Car, Chassis, Tires, Class and even Fuel and Hybrid specifications. 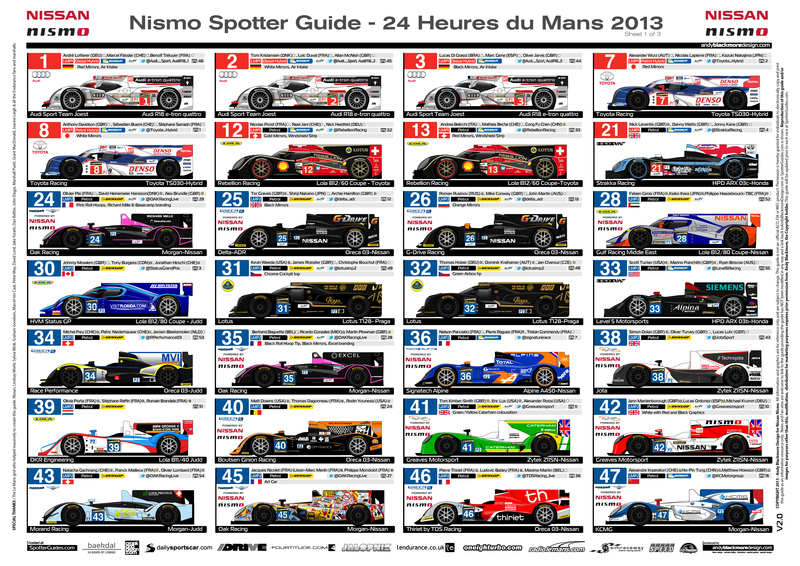 Special thanks to Nissan for sponsoring the WEC, ELMS and Le Mans guides during 2013. 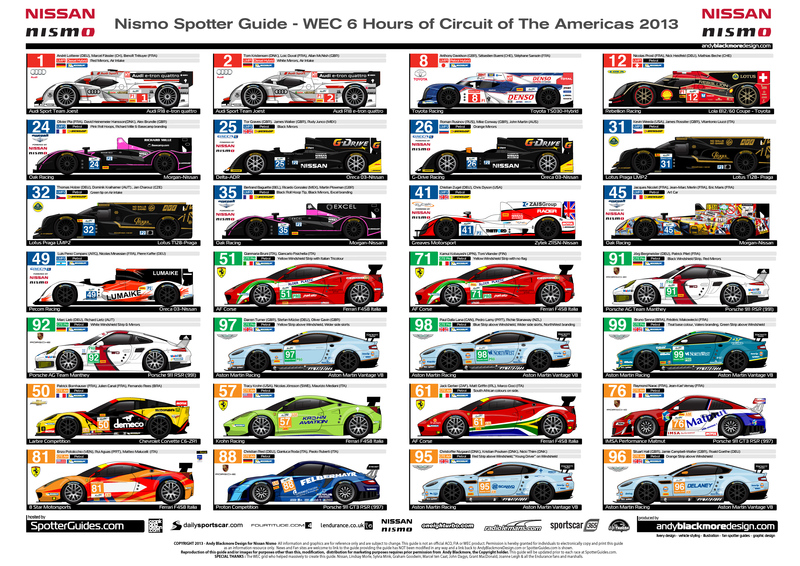 If you have enjoyed the guides, please feel free to thank them here on Twitter. 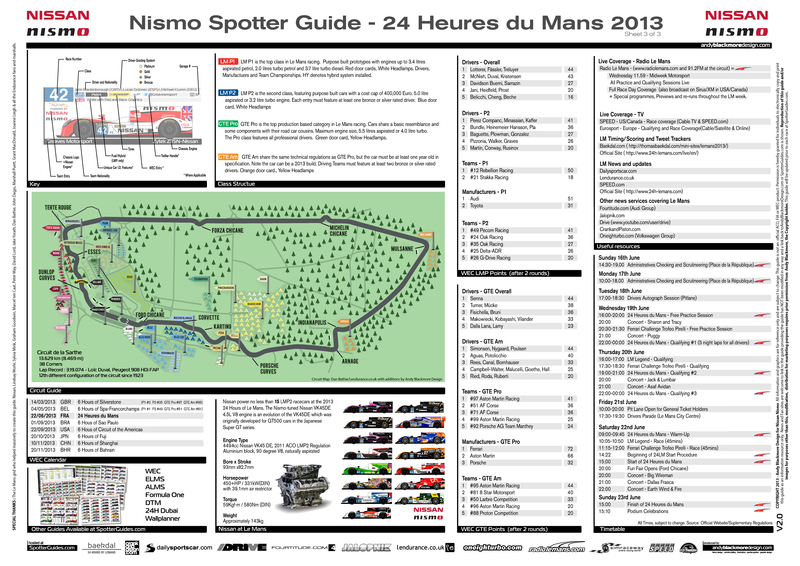 The guides are a big undertaking and wouldn’t have been possible without their support. 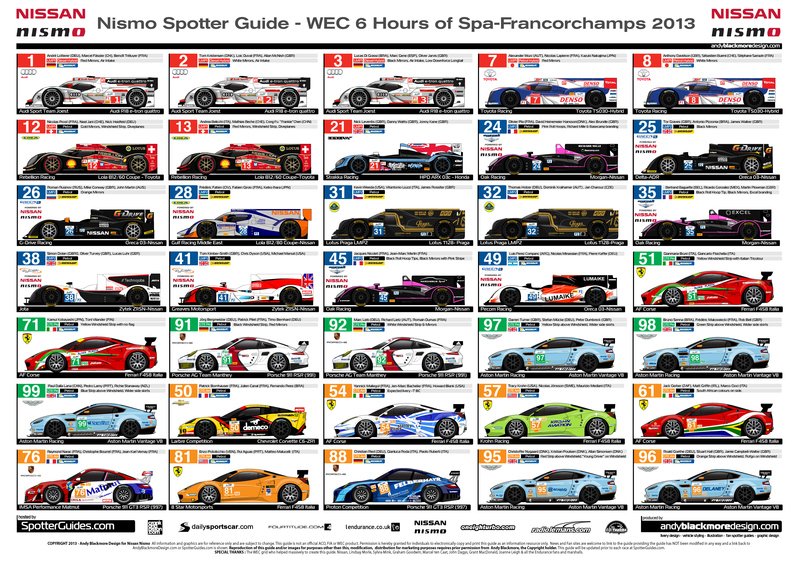 Spotter Guides from the previous rounds of the FIA World Endurance Championship, including Le Mans can be downloaded from links at the foot of the page. 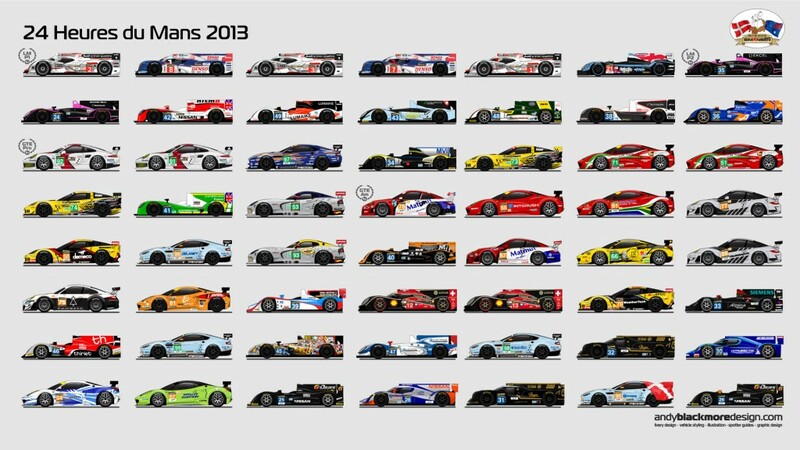 You can also download this Le Mans Desktop Wallpaper as a small thank you. (Long term this will move to the Wallpaper Page). Also, thanks to our media partners. 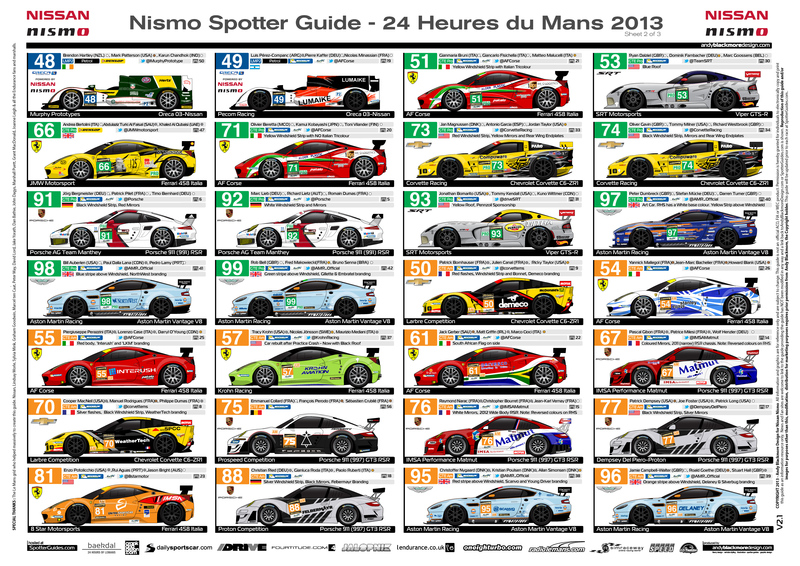 Thanks to everyone who has downloaded any guide, if you are a racefan, corner worker, official or commentators. Many thanks for your continued support. 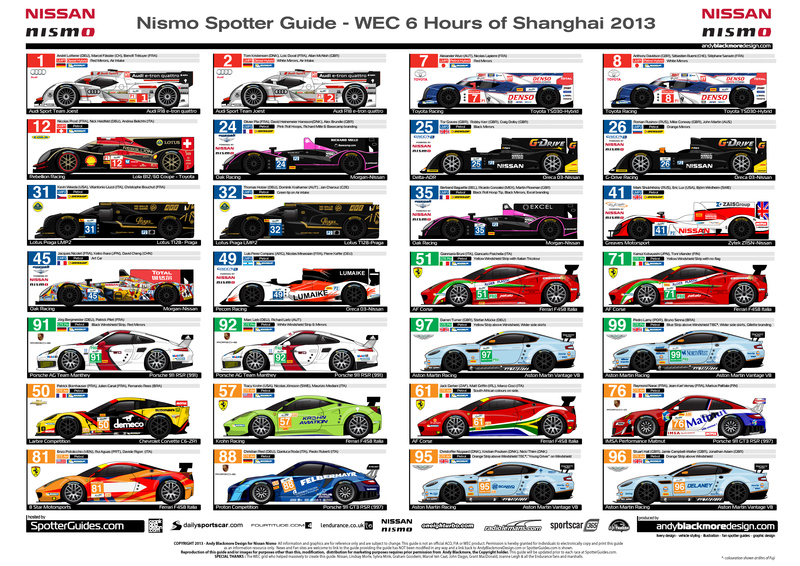 Thanks to the majority of teams who helped with the production of the guide. 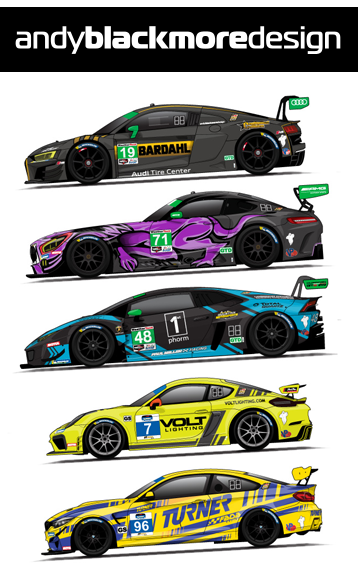 Also, as a heads up… I have an all-new website for my vehicle styling and race livery work. 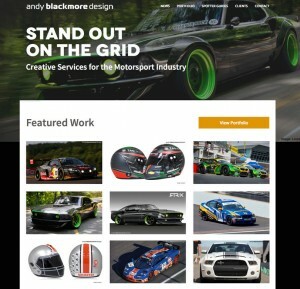 Check it out at www.andyblackmoredesign.com Many thanks! 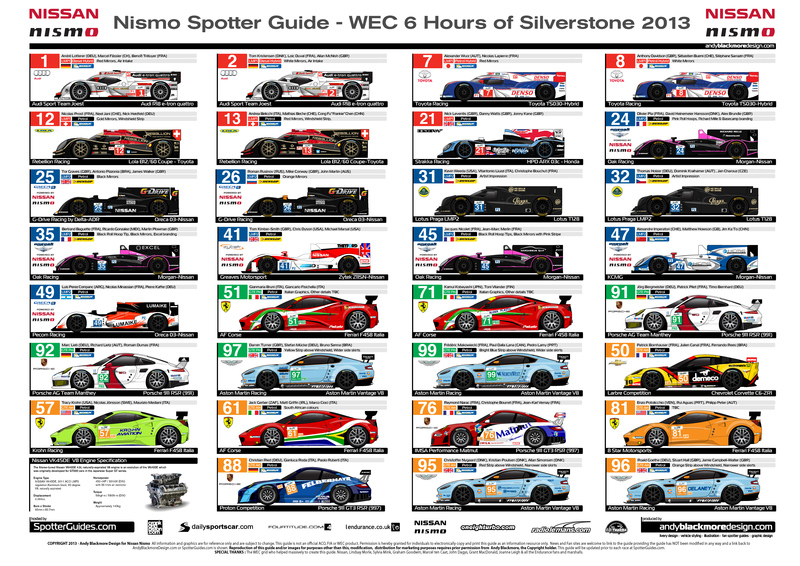 Please note, this is an unofficial guide and not affiliated with any series, team or driver.